It was the last day of the regular season, the Los Angeles Kings had just lost to the San Jose Sharks in overtime and solidified their spot as the Western Conference's number eight seed going into the playoffs. The loss also cemented the Phoenix Coyotes as the winners of the Pacific Division. The Kings and Kings faithful were stunned. Now, just over two months and eight wins later the hockey gods have spoken and the Kings and Coyotes will meet with a little more than just a Division Title on the line. The Kings have disposed of the Vancouver Canucks and St. Louis Blues and have gone 8-1 in the playoffs. While the Coyotes eliminated the Chicago Blackhawks and Nashville Predators after going 8-3 in two rounds of play. The teams will likely open their series this weekend, and will be playing for a chance to represent the Western Conference in the Stanley Cup Finals. A win in this series would erase any left over feeling the Kings might have after falling short late in the season, or will end up with the Coyotes rubbing salt in the fresh wounds of the Kings. "They Kind of took something from us at the end of the season that we wanted to get," said Kings goalie, Jonathan Quick, in a interview with NHL.com. "We're going to go into their building with a chip on our shoulder because of it." 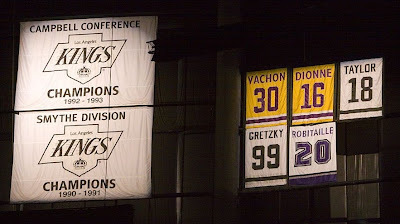 Obviously, the Kings haven't forgotten that they came up short after a late push for the Pacific Division title and the chance to raise a banner to the rafters, something the Kings haven't been able to do since '93. 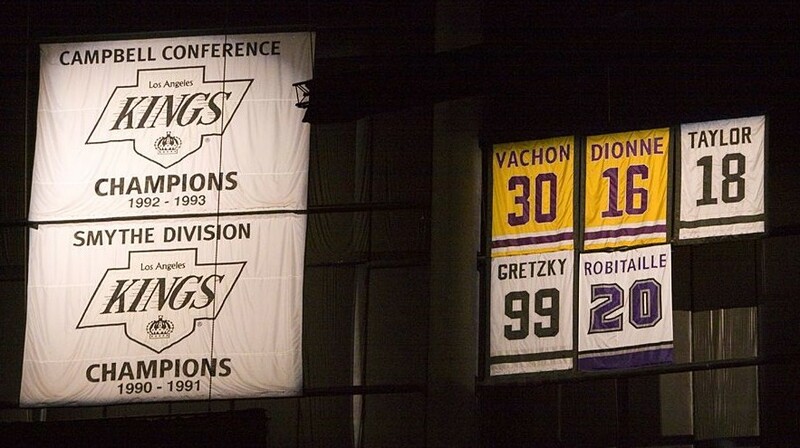 But, a Conference Championship, would look a lot better in the rafters of Staples Center. Hell, a Stanley Cup Championship would look AMAZING up there. First the Kings must get past the Desert Dogs. Mite want too check your spelig thier dudes! "Kings can erase the (lose)?? of the Pacific Division"